The Price, in 98 Notes is a performance-based work that explores and compares oil prices between Canada and Iran within a span of 98 months, from January 2009 to March 2017. West Canadian Select (Canada) and OPEC Basket (Iran) oil prices are converted into Midi numbers and then to Viola and Santur musical notes. 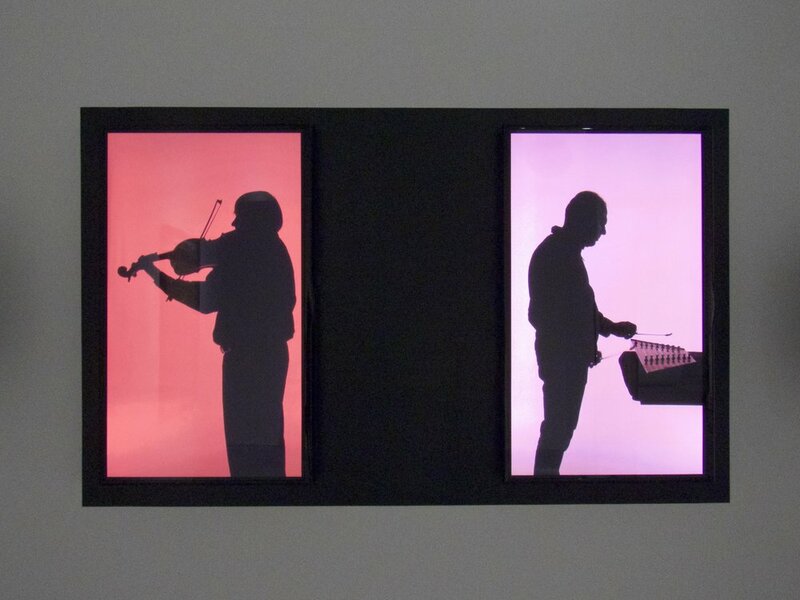 The color field in the video responds to the data as performers play each note. The music performance is based on the performer’s interpretation of the notes that each stand for the price of oil in each performer’s motherland. The piece suggests a shared space between the East and the West, a common struggle between two distanced worlds. The performer is an everyday human being affected by numbers, and reacting to them. The Price, in 98 Notes provides a case in which, hearing becomes an alternative way of interpreting statistical data for the audience. Through this translation, the artist aims to create an entry point to further conversation.